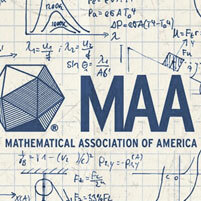 Carnegie Mellon University has placed first in the Mathematical Association of America’s 77th William Lowell Putnam Competition, the premier mathematics competition for undergraduate students in North America. Forty-four Carnegie Mellon students, including two from the Dietrich College of Humanities and Social Sciences, placed in the top 517, the second most of any university. Three Mellon College of Science students majoring in mathematical sciences, junior Joshua Brakensiek and seniors Thomas Swayze and Samuel Zbarsky, scored among the top five of all students, earning them the distinction of being named Putnam Fellows. The university’s current success is the result of a great deal of hard work by the students who took the 6-hour exam, and a concerted effort by the university to create an environment where students can enthusiastically engage in math and problem solving, take classes in top-ranked programs including math, finance, computer science and statistics, and receive support and mentorship from the research university’s award-winning faculty.